Strengths: Kovalchuk’s awesome skating ability and shot can fool many players when he has the puck. Kovalchuk has the potential to top the league in scoring and he is one of the most exciting players to watch. His defensive work is improving. 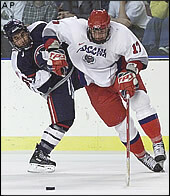 Weaknesses: Kovalchuk is a passionate player, but can be prone to taking undisciplined penalties. He needs to be ready when opponents are after him. 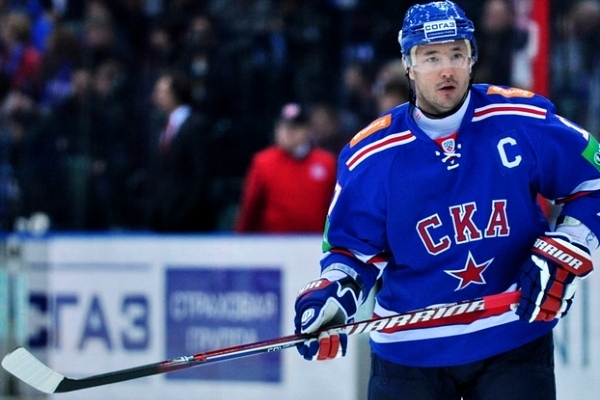 Biography: Ilya Kovalchuk grew up in Tver, northwest of Moscow. Even though Kovalchuk was born more than a decade after the 1972 Summit Series, he remembers the event very well. His father repeatedly played tapes of those games for Ilya. Kovalchuk wears number 17 simply in honour of Valeri Kharlamov. While being so young, Kovalchuk already had an enormous impact on his teams. He helped elevate Spartak Moscow to Superleague status as he led them to a 1st-place finish in 2001. 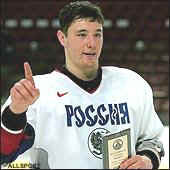 Same year, at the Under-18 World Championship, Kovalchuk was the tournament’s best player and won gold. 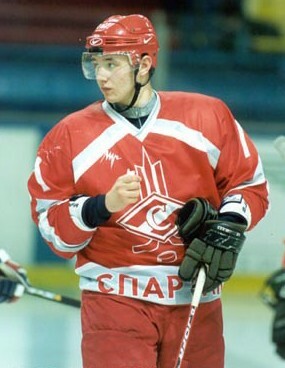 He then became the first Russian and only the fourth European ever to be selected first overall in the NHL Entry Draft. Kovalchuk immediately was a force for the Atlanta Thrashers. Ilya and fellow rookie Dany Heatley were amazing together and led their team in scoring. Kovalchuk was chosen to represent Russia at the 2002 Olympics, playing well on a line with his idols Igor Larionov and Sergei Fedorov. At the 2002 NHL Young Stars Game, Ilya ripped the game with 6 goals. 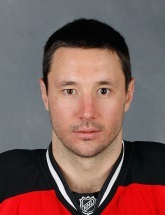 Unfortunately, Kovalchuk’s season was cut short after he dislocated his shoulder. Had that not happened, he would have won the Calder Trophy as NHL’s best rookie. While being only twenty years old, Ilya already had developed a reputation for his cockiness, which his teammates love and opponents hate. Also, he was caught in a few games with illegally curved sticks. Kovalchuk’s second season was also full of ups and downs, but he continued to establish himself as one of the league’s best scorers. In 2004, he already won the Rocket Richard Trophy for most goals. During the NHL lockout, Kovalchuk played for the star-studded Ak Bars Kazan team in Russia. 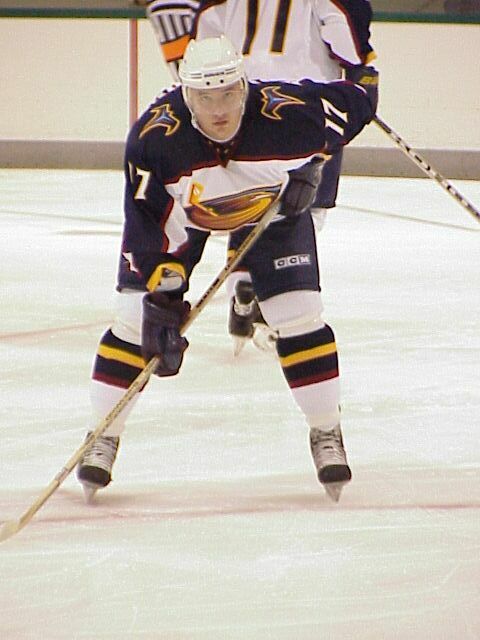 Prior to returning to the Thrashers, Ilya played a few games for Khimik in 2005. In January 2009, he was named the captain of the Thrashers. However, Kovalchuk’s greatest achievement to date was scoring the game-tying and game-winning goals against Canada in the final of the 2008 World Championship on Canadian ice. 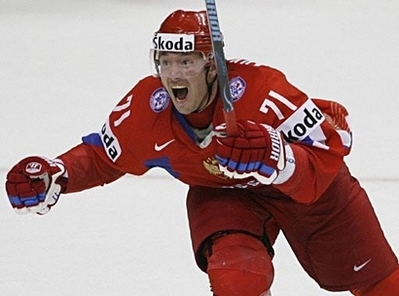 At the next year’s World Championship, Kovalchuk was the tournament MVP as he led Russia to another gold medal, cementing his status as a sports hero of Russia. Russia finished second at the 2010 World Championship, but Kovalchuk played great hockey on a line with fellow masters Pavel Datsyuk and Evgeni Malkin. 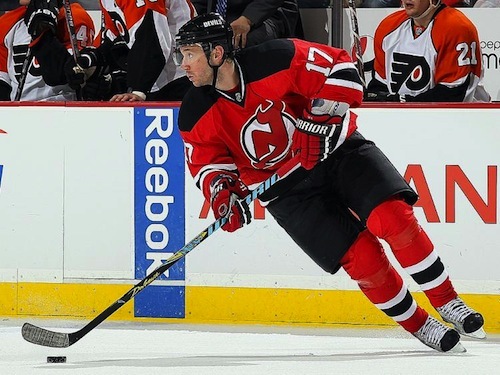 In February 2010, Kovalchuk was traded from Atlanta to the New Jersey Devils – the team he ended up signing a long-term $100 million contract with that summer. Ilya’s time as a Devil has been a rollercoaster so far. The Devils lasted only one playoff round in 2010 and got off to a horrible start next season. After sitting dead last in the NHL mid-season, New Jersey dramatically switched gears to finish within six points of a playoff spot. Timely game-winning goals by Kovalchuk propelled the Devils’ comeback, although the season was among his least productive. In 2011-12, Kovalchuk rebounded to finish in the top-5 in NHL scoring. He was also the top scorer in the first three rounds of the 2012 playoffs, in which New Jersey lost to the Los Angeles Kings in the six-game final. Ilya played through the playoffs with a back injury. In September 2012, Kovy returned to Russia to play for St. Petersburg during the NHL lockout.